On Monday evening, just days before Selichot services, attorneys at Sanford Heisler Sharp, LLP filed for preliminary approval of a $14.25 million class action settlement in Jane Doe 2 v. Georgetown Synagogue – Kesher Israel Congregation et al. 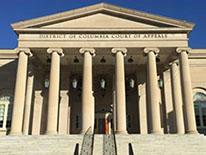 The three year old case is pending in Washington, DC Superior Court and must be approved by Judge Brian Holeman. The defendants announced that they thought it was better to settle the $100 million complaint than to allow the case to fester and cause additional grief to the potential plaintiffs. The defendants did not admit any liability or wrongdoing. The payment will be made by the defendant’s insurer, Travelers Companies. The case derived from the findings that the synagogue’s past beloved leader, Rabbi Bernard “Barry” Freundel, secretly filmed over 150 women as they undressed in the National Capital Mikvah. The rabbi was convicted of voyeurism and is serving a prison term that runs until 2021. Kesher Israel discovered the crimes when a person cleaning the mikveh discovered the hidden camera. The law firm of Chaikin, Sherman, Cammarata & Siegel, filed one of the original class actions. The current attorneys for the class of claimants sued Freundel and The Georgetown Synagogue-Kesher Israel Congregation, the National Capital Mikvah, Inc., The Rabbinical Council of America, Inc., and the Beth Din of the United States of America. It is expected that each victim who joins the proposed case will receive at least $25,000. If 150 victims each claim this amount, the class action suit administrators insurers would payout $3.8 million of the $14.25 million settlement. Payments will be higher based on frequency of victimization, whether it was part of a conversion process, and other variables. Those who used the mikveh and who were not confirmed as being recorded/videotaped but who experienced emotional distress when they learned of the incidents can receive $2,500. The names of the class members will be kep confidential.